Initial advancements in micro needling were born from efforts to treat hypertrophic scars, which improved in texture, appearance and colour when penetrated by small tattoo-gun style needles. The Dermal Pen utilizes state of the art technology and proven skin rejuvenation principles to provide a quick, effective and low down time treatment for all skin types. Dermal Pen Micro Needling is the latest innovative skin needling device, using very fine micro needles to safely and comfortably stimulate collagen production and refine scars, reduce lines, improve skin condition and remove sun damage. 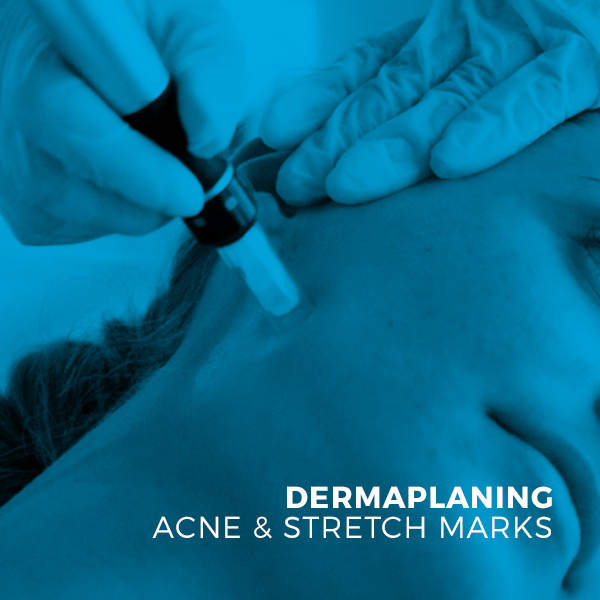 The Dermal Pen was chosen by our skin care specialists as it allows the user to adjust virtually every aspect of the treatment, tailoring it to each individual patient’s needs. Vertical needle insertion reduces discomfort, while the pen’s advanced design ensures the optimal number of punctures per second for optimal results. The Dermal Pen micro-needling, combines results previously achievable only with the use of laser technologies, with the less damaging, heat-less approach of dermal rollers. The Dermal Pen is also able to quickly and comfortably treat hard to reach or delicate areas, such as those around the eyes and nose. Dermal Pen Micro Needling is used at Persona to improve the appearance of fine lines and wrinkles, atrophied and sun damaged skin, multiple forms of scarring and stretch marks. It has also been used to enhance the result of various applications targeting alopecia, keloid scarring, and vitiligo. Acne scarring occurs because depressions or pits in the skin have formed abnormally from the inflamed acne spot. Like wrinkles, most acne scars are visible because they are lower or deeper than surrounding skin. Microneedling will even out the complexion and improve the appearance of scars. Many men and women with acne scarring are enjoying the benefits of significant reduction of scar depth even after a single treatment and although results vary from person to person and it is likely that you’ll have to undergo a couple of treatments to get the appearance that you are looking for. Stretch marks are tears to the connective tissue of the skin, caused by over stretching of the skin. When the connective tissue is stretched, the tear results in what’s called an epidermal atrophy along the area that has been damaged. Once this happens, the epidermis becomes thin and loses it ridges, breaking the elastic fibers and causing the epidermis to retract. When using a Dermal Pen on your stretch marks, it helps to promote regeneration of the skin covering those stretch marks, which restores the contours of your skin’s surface.